Couldn’t be happier. Got the item for 96pounds less than in John Lewis and received it within two days when we had all the snow. Excellent! Amazing watch. Loved it as soon as I saw it! Couldn’t wait to get it fitted to wear. 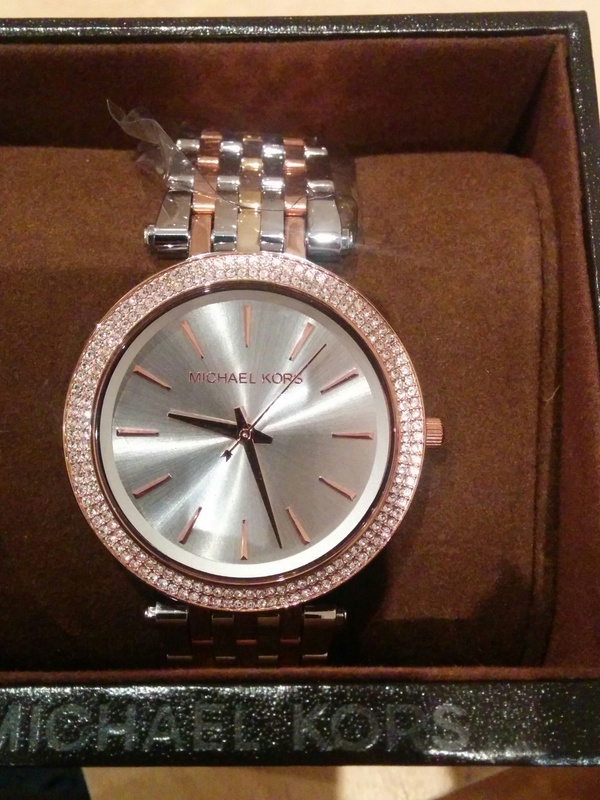 Beautiful watch, picture doesnt do it justice, going to make a perfect gift for my daughter. As a birthday present I have received this watch from my brother and I automatically fell in love with it, I love watches as accessories and this compliments every outfit I wear either dressing up or casual. The combination of the rose gold, silver and gold is so beautiful and classy the best of 3 in 1. Wore it out on my birthday and got complimented by anyone who saw me that night. I love the face as it is a big one and its so easy to read what time it is as the lines are well spread out. 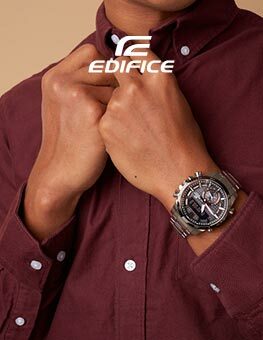 The little diamonds around the face of the watch makes it even better im absolutely in love with this watch and would recommend to anyone looking for either an everyday watch or a going out watch. Amazing watch! Friend loved it! Even got a price match For a very decent price and its £229 in store! Lets just say more than £100 off! !Such great service will definitely be purchasing more !!! Excellent service. Watch is perfect, absolutely love it. Love my new watch. Big sparkly face. Very stylish. 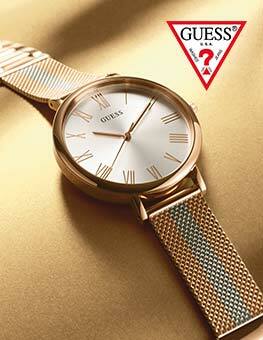 Lovely watch and with the three metals can be easily worn with any other jewellery. 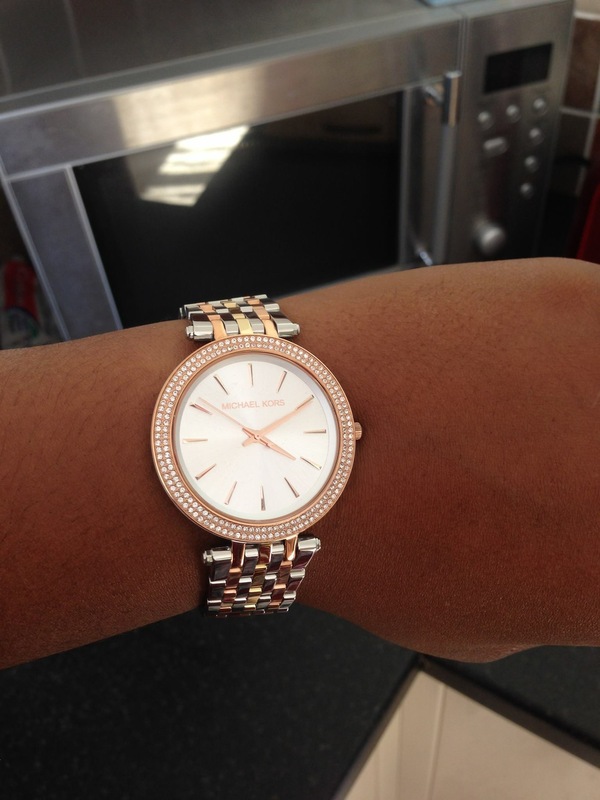 I just love this watch, I wear a lot of white gold & this was the perfect watch to match it all in together along with a bit of sparkle, its just stunning on! 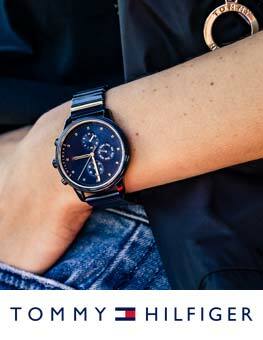 Great looking watch at a price no jeweller on the street can get anywhere near. I am deleted with my new watch its perfect .. going to take it to goldsmith for links takin out. 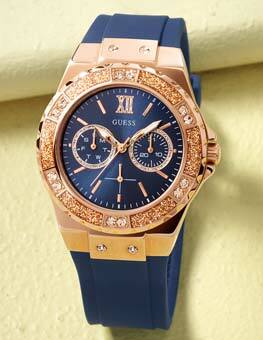 Very nice watch with crystals lining the outline of the face. Bought it as a gift for my wife who was after a flat watch with crystals and this was a perfect match. The face is flat with a pearl like watch face and a gold and steel strap. The detail on the watch is very impressive including the strap and the style is traditional but at the same time finished to a high spec. The only downside was the watch face is a bit plain but if that is the kind of one you want then there is no turning back. Bought this watch for my sister!!! She absolutely in love with it! A little bit jealous as have 3 very expensive watches and they are nothing like this one! Its light, classy, eye catching and finishes an outfit perfectly!! Brilliant watch...absolutely love it.......amazing service. I never thought that I would be able to wear a designer watch as I have big wrists. The Watch Shop put in extra links for me and I can now wear a designer watch. So happy!!! Ordered the Michael Korrs Watch for my daughters 16th birthday.After spending hours on line I idecided to go with watchshop .I have never written a review before but decided to because the reviews I read helped me to buy form watchshop. Well what can I say really impressed the watch arrived before lunchtime the next day at no extra cost it was well packaged and is gorgeous also about £70.00 cheaper than the high street.I wouldnt shop anywhere else in the future . Im sure my daughter will love it. Bought this watch as a birthday gift for my mum. It was perfect. The mixture of colours allows her to wear any other jewellery with it and looked very pretty on her wrist. Delicate yet has the bling factor. Just perfect. A quality watch which was delivered on time. Service provided by this website was top notch. Brilliant watch. Smart and elegant. For a person with a small wrist. Fits perfectly after adjusting. Great service. Bought as a gift for my wifes aniversary.Beautiful and simple design. Got this as an anniversary present. Looks amazing on much better in real. I compared the prices to all high street and online retailers and the watch shop was by far the cheapest. Plus they deliver to goldsmith which is convenient as had to remove links as was too big with no extra cost. 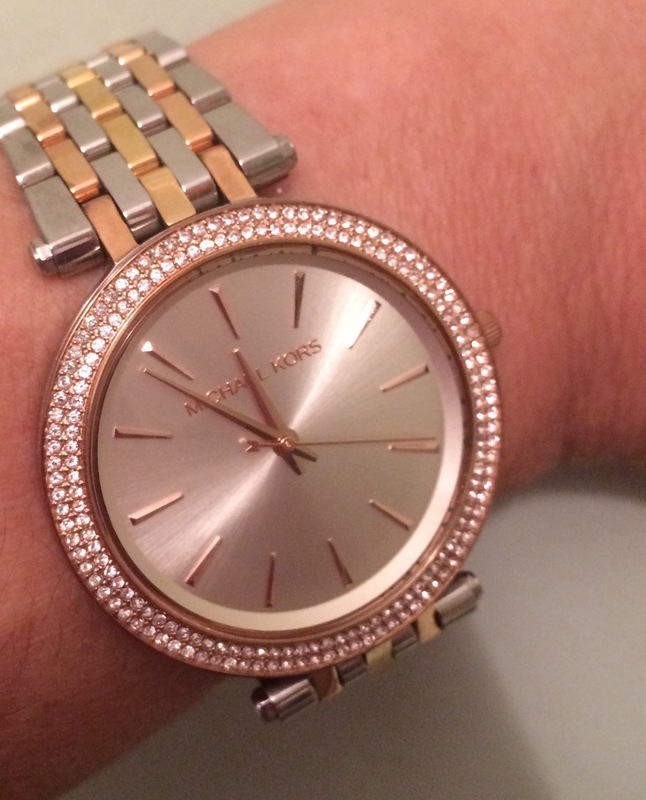 I just loved the Michael Kors Darci Glitz watch. Its awesome in style and look. I receive compliments almost everyday and it feels so good. Its just amazing. I simply love it and so happy after buying it. Its the best thing so far to me in 2016. 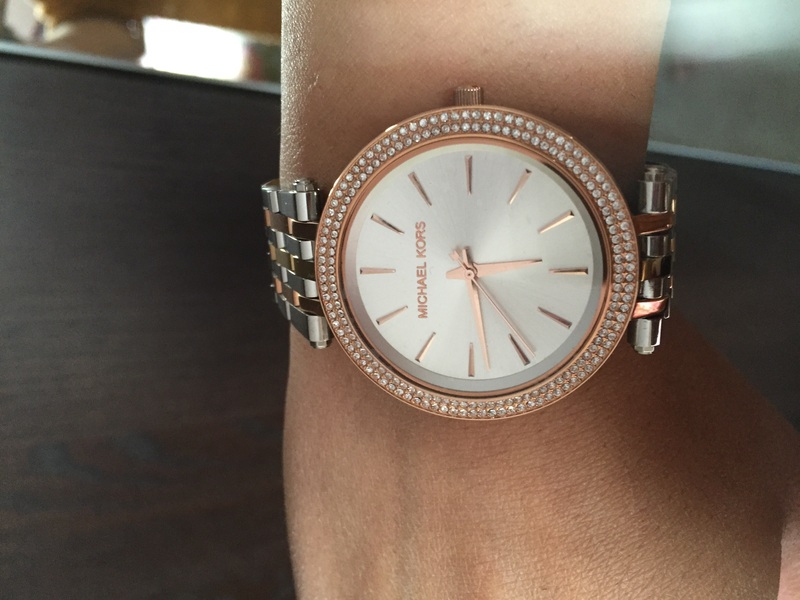 This is one of several Michael Kors watches I have, the quality and design of the watch is spot on! 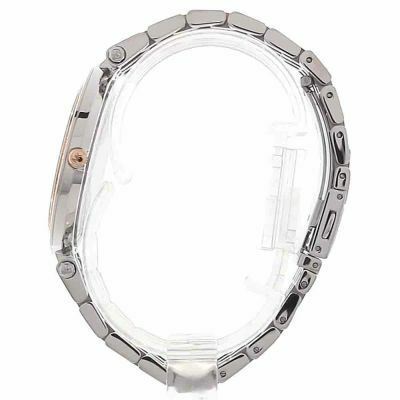 - the face is plain and clear making it easy to read but the sparkling dial surround makes it very attractive to look at plus the dual tone bracelet adds to the classy appearance. In my opinion there is nothing to dislike about the watch. Ordering was easy and I had a discount code so was happy with the price I paid. Delivery was very quick & I am really happy with my watch. 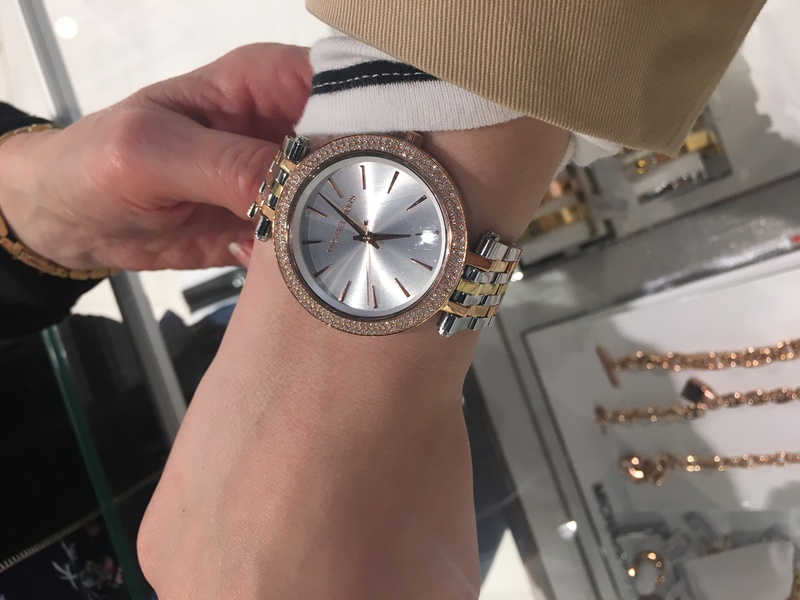 I had the bracelet sized to fit which was very convenient, although still a little big but I popped into the Micheal Kors shop & they just took one more link out so now perfect! really nice eye catching watch can be worn casually or as a dress watch. would recommend to anyone. The watch was spot on ,never had so many brownie points from her indoors!!!!. Top quality,colour spot on ,good size for a female watch. Cant find any bad points about it. The watch was bought for my girlfriend for Christmas and it was everything and more I could have asked for. Brilliant service as well thank you watch shop. Come as expected with perfect delivery. Highly delighted with this product, beautiful, well packaged and presented, fast delivery. Would recommend this to anyone, will be ordering again. Really pleased with the purchase and also the service provided! !the watch look stunning! Perfect for every occasion ellegant and classy..how a lady watch should look!Once again really really happy!I would deffinetly recommanded!! Bought for my wife as birthday gift well impressed and she loves it. Beautiful watch, looks just the same as the picture online. The delivery was so fast for standard. Really impressed! Have shopped around and looked at this watch for a long time,when i seen it on watchshop i was delighted with the price almost£60cheaper than high street prices ordered.3pm fri was delivered to goldsmiths by 10am next morning excellent service online and instore the guy was served me couldnt do enuff i am now about to order another as a gift watchshop will no be beaten.. Absolutely love my watch, it is glitzy but not OTT! Looks really good on your wrist for day or evening wear. Very comfortable, I particularly like the flat face as it is not too bulky. 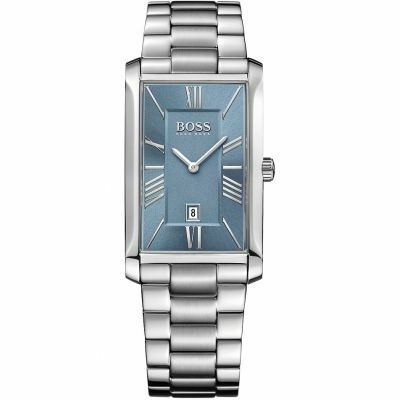 Its so elegant...very beautiful watch to gift someone very special. Watch is amazing , my gf loves it!! Stunning watch looks fab had lots of compliments from my colleagues. Great service from Watch Shop and Goldsmiths where I collected from adjusted the strap for me no charge. Well done Watch Shop will definitely recommend you! Girlfriend delighted with this gorgeous watch, very elegant and cant fault the service from watchshop, regular comms received about delivery to local Goldsmiths store and staff were very helpful on collection majing necessary adjustments to the bracelet with no fuss. A bargain price to boot compared to the high street. If you are looking for quality and service, dont hesitate. Third time I have used the watch shop. They have been excellent every time. They should put me on commission, I have been recommending them to all my friends. Wish my business ran as smoothly. Very happy with this watch, looks a lot more expensive than it it at this bargain price, looks amazing with the silver and rose gold together. Definitely use watchshop again. Great watch / great service. 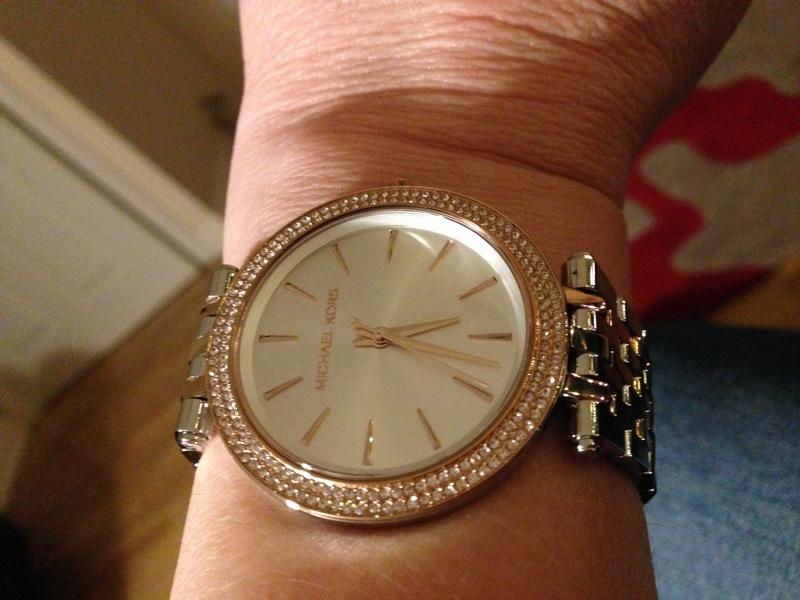 Michael kors perfect. My wife was delighted and it was delivered within 2 days as promised. I have recommended watch shop to all my friends and family and will he using them for my sons birthday present too. Watch Shop är auktoriserad återförsäljare av Michael Kors. 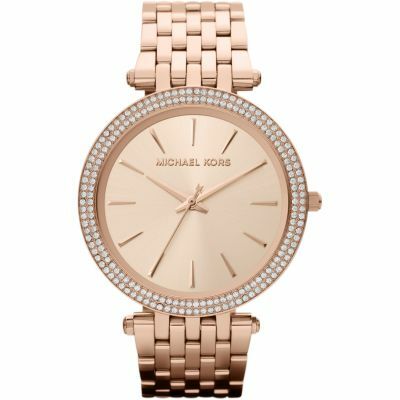 Registrera för att få e-postuppdateringar när nya stilar av Michael Kors dyker upp i Watch Shop!